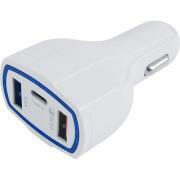 Universal USB car adapter for all kinds of devices that get their power through USB. 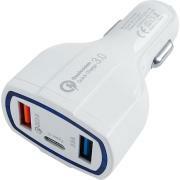 Plug your device's USB cable in and charge from almost any vehicle's 12 volt accessory outlet. 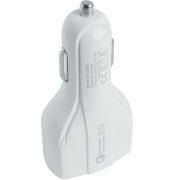 A built-in resetting SmartFuse protects against voltage spikes, with no blown fuses to replace. 2 USB Port, 3.5A output, you can charge your tablet and smartphone at the same time.